Haunted sandcastle Pokemon. Dugtrio with luscious hair. Garfield's crap blue cousin. Maybe you've noticed, but Sun and Moon's creature design is actively absurd, sometimes bordering on troll-like. All of that is intentional, according to the creators. 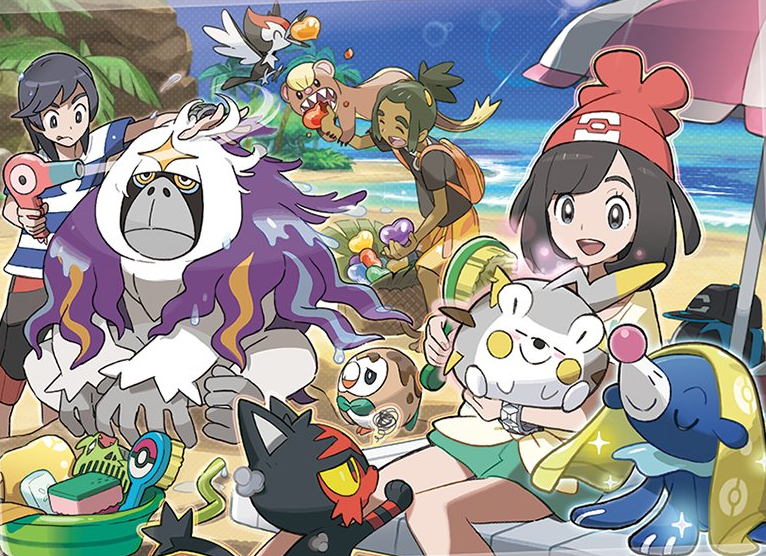 Earlier this month I spoke to Game Freak's Junichi Masuda, producer on Sun and Moon, as well as Shigeru Ohmori, director on Sun and Moon, over the phone. Naturally, I had to ask all about the amazing Pokemon designs they had revealed thus far. Official description: Because Jangmo-o uses the scales on its head for both offence and defence, it never turns its back to its enemies. Jangmo-o was not, however, the most fun animal Game Freak had the pleasure of designing. That honour is reserved for none other than Alolan Exeggutor, with its incredibly long neck and goofy multiple heads. "When the designers first came up with the idea, the background is that the sun in Alola is so strong, that [Exeggutor] just keeps growing and growing," Ohmori said. I asked the developers if they designed creatures like Alolan Exeggutor just to mess or troll with people, and Game Freak collectively laughed. I was told that they felt it was important to have some fun with the designs because it was a special occasion. "For the 20th anniversary, we wanted to have a lot of special surprises… we wanted a funny element," Ohmori explained. "At the same time, we had to find a balance of cool ones, serious ones. 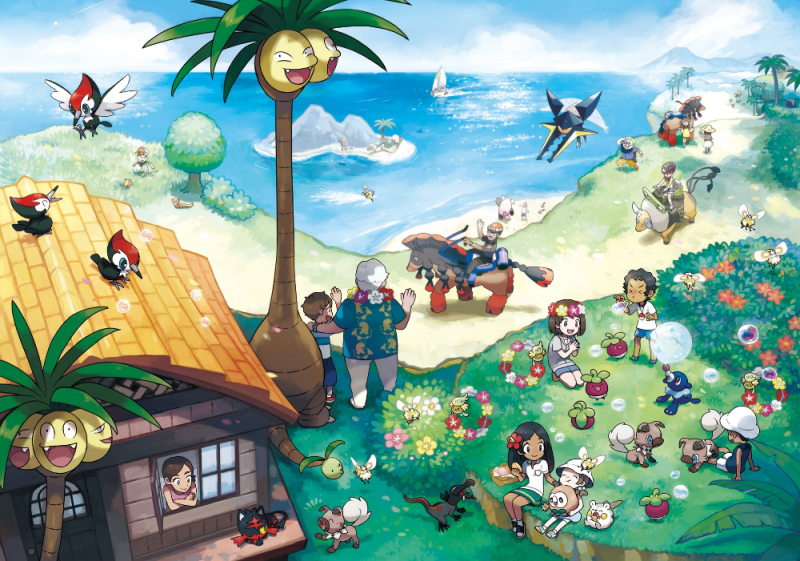 We looked at the Alola region as a whole and thought about that ecosystem." That weather consideration goes beyond the design of Pokemon themselves. I asked Game Freak if they had noticed the booming fandom surrounding the newest Pokemon professor, Kukui, and whether or not they designed him to basically be a thirst trap. "I don't think we have the intention of making [the professors] cooler or prettier," Ohmori said. What most people notice when they look at Kukui is his shirtlessness — it's a character trait that seems a little suspect when you're a man of science. That, coupled with the progressively more attractive professor designs over the years, made it easy for some fans to lust after Kukui. Kukui is not being extra as hell to catch your attention, however. Game Freak swears that there's a good lore reason as to why Kukui is a little under-dressed. "It's the temperature," Masuda said. In other words, y'all need Arceus.